Shopping for a new Lexus GS? 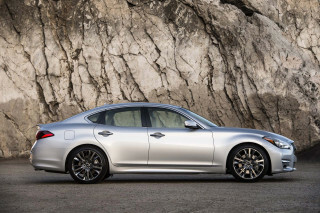 The GS 300’s turbocharged inline-4 is no match for the competition; opt for the GS 350 instead. The 2018 Lexus GS is a worthy rival to its German foes in terms of luxury and handling, but its engine lineup is falling behind the competition. The 2018 Lexus GS mid-size luxury sedan is a new rival for an old idea, and takes a sharper tack than most of its contemporaries. 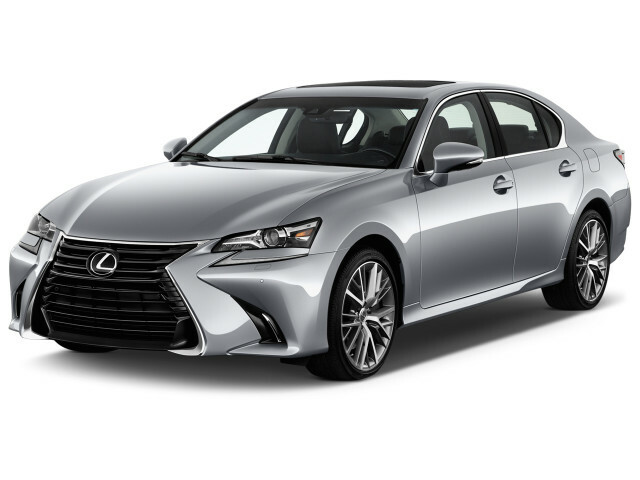 Available in GS 300, GS 350, GS 350 AWD, and GS 450h, in addition to the high-performance GS F (covered separately) models, this mid-size car is appealing for more than just its agile moves. Changes for 2018 are minimal. 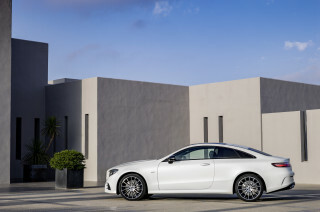 The base model with its turbocharged 2.0-liter inline-4 is renamed GS 300 from 200t, and the Enform Safety Connect and Service Connect services become complimentary for 10 years. The GS’s greatest strength is its handling. Well-tuned electric-assist power steering teams with lightweight multi-link front and rear suspensions and a stiff body structure to create an agile car that is communicative and composed. The available adaptive suspension in the even sportier F Sport package (available for every model) balances ride quality with even better agility. Other F Sport features include bigger tires and brakes, variable ratio steering, and an available limited-slip differential—all real performance parts. Lexus offers a choice of three powertrains, a 241-horsepower turbocharged 2.0-liter inline-4, a 311-hp 3.5-liter V-6, and a hybrid that pairs the V-6 with an electric motor for a total of 338 hp. 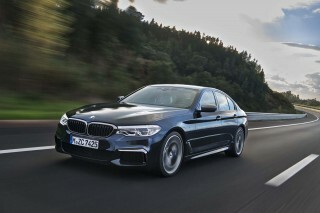 The 2.0-liter lags behind the competition, and the hybrid is thrifty without being as sporty as the others. We prefer the V-6 for its good power and rich sounds. The GS’s cabin is another strength, at least from the front row. The front seats are roomy and comfortable, and the materials are of high quality. The back seat, however, is a bit tight for a mid-size sedan, and we are not fans of the Lexus Remote Touch infotainment system. Safety is also a mixed bag. Lexus makes plenty of safety features standard, including 10 airbags, adaptive cruise control, forward collision warnings with automatic emergency braking, automatic high beam headlights, and lane departure warnings with active lane control. Unfortunately, incomplete crash-test data means the GS hasn’t proven that it is safe in the lab. All models come well-equipped and this is where the GS has a leg up on its German rivals. It is generally priced like them, but it has more standard features and the options list doesn’t send the price into the stratosphere. Flowing lines emanate from a tame version of Lexus’ spindle grille, creating a handsome mid-size sport sedan that also features an elegant interior. At first look, the Lexus GS may overwhelm with detail and surface excitement, but you soon start to appreciate it. It’s not just the most handsome Lexus sedan, it’s one of the best-looking mid-size sport sedans on the market. 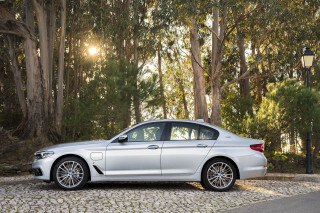 The GS sheet metal undulates rearward from the aggressive corporate “spindle” grille. The look manages to be both voluptuous and squared-off at the same time. The tail is marked by strong horizontal lines, while the greenhouse it quite conservative, reminding us of the 2002-2010 BMW 7-Series. While the spindle grille can be controversial, it is somewhat subdued here, and we like it. However, the LED eyeliner for the headlights and the tucked-away foglights on the F Sport-equipped models can look too complex for some tastes. The interior features a horizontal theme for the dashboard. The vibe isn’t as soft as Lexuses of the past. It reminds us of a Nakamichi sound system, with cool LED ambient lighting that glows around the perimeter, a high-resolution display, and big, beautiful gauges. We prefer the V-6 engine and recommend the F Sport package to make this agile sport sedan even sportier. Lexus offers three powertrains for the GS: a turbo-4, a V-6, and a V-6 hybrid. The base engine in the GS 300 is a step behind the competition. It's a turbocharged 2.0-liter inline-4 that produces 241 horsepower and 258 pound-feet of torque. 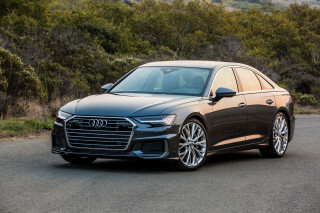 Those numbers are close to what’s offered by the competition, and the 8-speed automatic transmission is as modern as any, but the engine lacks direct injection while the rest of the rivals have it. Direct injection improves power and fuel economy, as well as responsiveness, which is an issue for this engine. It reacts to full throttle inputs with a moment of indecision before the transmission kicks down and the turbocharger spools up, even in Sport+ mode. The transmission can also be quick to upshift, fussy in uphill driving, and prone to noticeable downshifts with even slight pressure on the throttle. Some may resort to the shift paddles to avoid the commotion. The 0-60 mph time in excess of 7 seconds isn’t all that quick, either, but power is decent once the car is on the move. The GS 350’s 3.5-liter V-6 is much better. It makes 311 horsepower and 280 lb-ft of torque, and this engine does have direct injection, plus four valves per cylinder, four cams, and variable valve timing. With the V-6, torque comes on stronger from about 3,000 rpm, and the 8-speed is more responsive. The 0-60 mph run takes just 5.7 seconds, and Lexus defies its conservative tradition by piping engine and exhaust notes into the cabin, creating a fantastic soundtrack. While this is the best engine, it is no match for the turbocharged sixes available from the competition. The GS 450h hybrid teams the V-6 with a 147-kw electric motor and a 30-kw (41-hp) nickel-metal-hydride battery pack. 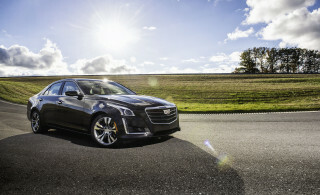 The V-6 runs on the fuel-efficient Atkinson cycle, and total system output is 338 hp. Acceleration is strong with the hybrid, and it offers low-speed all-electric driving, but the overall experience feels more detached. We cover the high-performance GS F sedan separately. The Lexus GS’s independent, multi-link front and rear suspensions are well tuned and feature lightweight components. They team with a stiff body to deliver an agile character from even the base model’s standard 17-inch, 50-series tires while offering a composed ride. The electric-assisted power steering also manages to provide good feedback and responsiveness. An adaptive suspension is offered with the F Sport package, and it’s paired with active steering with variable ratios. With the F Sport package, the GS takes it up a notch. Steering response is instantaneous, ride control is tightly damped, and handling is crisp. The only issue is some pounding over potholes from the low-profile 19-inch tires. All things considered, we recommend the F Sport package, as its features improve the already agile handling without feeling too "digital." For even more agility, opt for the available active rear-wheel steering, which can dial in up to 2 degrees of opposite steering angle to help slice off apexes, or steer in tandem with the fronts at higher speeds for better stability. The GS 450h isn’t as sporty, even though the adaptive suspension is standard. Its electronic continuously variable transmission has a drive-mode selector with Eco, Normal, Sport, Sport+, and EV modes as well as eight programmed gearing ratio steps. The different driving modes change the character noticeably, but the smaller, lower rolling resistance tires and lighter-touch steering detract from the feel and agility of the other models, even in F Sport guise. 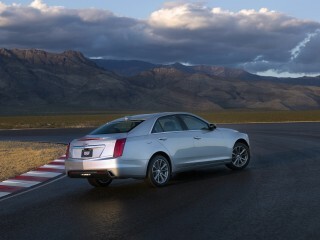 Like other hybrids, the brakes exhibit lots of regenerative stiffness and little real braking sensation. The Lexus GS boasts an elegant cabin with high quality materials and a roomy front row with comfortable seats. From the metallic trim to the console coverings to the stylish but somewhat difficult to read analog clock to the padded leather surfaces, the GS’s interior is conceived and assembled with care. The gauges are large and easy to decipher, and the dash has high-grade plastics where it doesn’t have the aforementioned metallic trim or soft-touch surfaces. It can seem a bit busy, though. The front seat is also a fine place to spend time. The 10-way power seat adjustments work in conjunction with the tilt/telescoping steering wheel to make finding a natural driving position easy. Lexus goes a step further by offering 18-way seats that are fantastically supportive and come with heating and cooling, as well as a power tilt/telescoping steering wheel. The F Sport’s sport seats would benefit from some additional bolstering, though, given the performance promise of these cars. The rear seat isn’t quite as accommodating. It has enough room for adults of average height, but knee room is a bit tight for a mid-size sedan. Like many center seats, the middle position will only work for a small child and it will crowd the adults in the outboard positions. Access to the rear is rather easy, as the rear doors are large. While the trunk is a bit shallow, the trunk opening is wide, and there is a passthrough for longer items. Aside from how difficult the Remote Touch joystick is to control (see the features section for an explanation), we also find a design issue. On the right side, it doesn’t match the shape of the center console, creating a gap where all kinds of dirt and crumbs can gather. While the crash-test data is incomplete for the Lexus GS, the safety equipment is generous, so it should perform better than our score. The set of active and passive safety features on the 2018 Lexus GS is impressive. It comes standard with 10 airbags, including rear side and front knee airbags, plus a rearview camera, active front headrests, parking sensors, and blind spot monitors with rear cross-traffic alerts. Last year, Lexus made its Safety System+ standard on the GS. It consists of adaptive cruise control, forward collision warnings with automatic emergency braking, automatic high beam headlights, and lane departure warnings with active lane control. 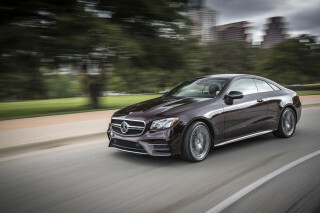 The only safety options are a head-up display and adaptive headlights that point into turns. No 2018 Lexus GS has been crash-tested, and the federal government has not tested the 2017 model, either. The IIHS, however, does have some data for the 2017 GS. It earned top “Good" ratings in the side, moderate front overlap, and roof strength tests. It didn’t get a score in the tough small-overlap frontal test or in the seat test, and that means it couldn’t qualify for the Top Safety Pick or Top Safety Pick+ awards. The Lexus GS is a luxury car value thanks to its generous features and value pricing when optioned up. The 2018 Lexus GS is offered in the new 300 model, as well as the 350, 350 AWD, and 450h hybrid models, and Lexus makes an F Sport package available for each. Standard equipment on the GS 300 models includes synthetic leather, 10-way power front seats, dual-zone automatic climate control, Bluetooth connectivity, LED ambient lighting, a 12-speaker AM/FM/DVD audio system, HD radio, Lexus’ Remote Touch infotainment system with a 12.3-inch center screen, navigation, a USB port, LED headlights and turn signals, a sunroof, and 17-inch alloy wheels. The GS 350 models get 18-inch wheels. The F Sport package adds 19-inch staggered-width wheels and tires (single width with all-season tires for AWD), larger front brakes (RWD only), adaptive dampers with Sport S+ mode, a limited-slip differential (GS 350 RWD only), variable-ratio steering (RWD and 350 only), a rear lip spoiler, F Sport badging, a unique front bumper and rear lower valance, mesh front grille inserts, aluminum exterior trim, aluminum interior trim, aluminum pedals and door scuff plates, a 16-way power sport driver's seat, unique perforated leather trim, and a black headliner. 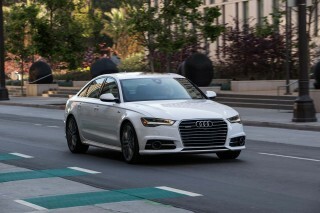 Other options include a Premium Package with heated and cooled front seats; heated rear seats; a heated steering wheel; a head-up display; a self-parking feature; LED headlights with automatic high beams; a dynamic handling system with rear-wheel steering; and an 835-watt, 17-speaker Mark Levinson audio system. The available Enform App Suite pairs with smartphones to provide access to apps like Slacker, iHeartRadio, OpenTable, Pandora, Yelp, Facebook, and MovieTickets.com. It also provides fuel prices, stock tickers, and sports scores. The Lexus Enform Remote option is a subscription-based service that adds things like a vehicle finder, vehicle status reports, remote locking and unlocking, and a "guest driver monitor" that could be used as a parental safety net. For 2018, a 10-year subscription to Enform Safety Connect and Enform Service Connect is included. These had been subscription-based services. Safety Connect is a telematics service that offers emergency services, roadside assistance, and a stolen vehicle locator, while Service Connect allows owners to connect with their computers or smartphones to view vehicle health reports and maintenance alerts. Remote Touch uses a mouse-like controller on the center console to enter commands on the 12.3-inch screen. The center screen can be split to show navigation and other information simultaneously. The controller may be intuitive to operate, but it requires some manual dexterity to hit the buttons on the screen and that can be disrupted by bumps in the road. The menu structure can also be complicated. We find it to be one of the harder systems to operate. Most of the 2018 Lexus GS’s powertrains aren’t all that thrifty, but the hybrid model teams power and fuel efficiency. 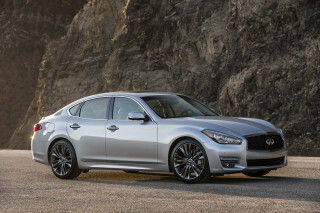 Get the GS 350 with all-wheel drive and you also trade the standard 8-speed automatic for a 6-speed. The ratings also drop to 19/26/22 mpg. The most efficient model is the GS 450h hybrid. It is rated at 29/34/31 mpg. The base model, now called GS 300, carries a 22/32/26 rating. Opt for the F Sport version and that rating falls to 21/31/24. Looking for a different year of the Lexus GS?